A major trope of science fiction is the idea of time travel, and Planet Red will move us through time and space in a rickety spacecraft (an intergalactic bicitaxi?) of the imagination to visit current and past worlds of the communist universe. Unlike the common sci-fi scenario, we will not be able to alter the past and, hence, change the course of the future, but by travelling through the world of communism we can understand the unique flow of revolutionary time as it resists the ever quicker flows of capital. Lenin was fond of saying “time is on our side”; Stalin, on the contrary, wanted to speed up the tempo of production and felt that the USSR was running out of history, and might not catch up to the West. Whether there was too little time or more than enough, “the wheel of history” and progress had to move forward: it is this “[red] wheel of history” that Planet Red will examine, (re)creating a virtual and living archive of the future. Cuba was once part of a brotherhood of nations that shared the common dream of building classless societies, a red universe of proletarian rule, human emancipation, free of divisions and violence, where greed, exploitation and egoism have been banished. Although the Soviet Union and its sphere of influence imploded by 1991, Cuba has firmly maintained its identity as a socialist society, with the ultimate goal —albeit in a somewhat distant future— of building communism. How was Cuba able to outlast the Soviet bloc when everyone depicted its demise twenty-five years ago? Has Cuba learned lessons from those historical debacles? If so, what are they? Planet Red examines the experiences of Cuba but jointly with that of the former USSR and socialist bloc, Yugoslavia, China, Vietnam, North Korea, some sixteen countries in all, scattered on all continents. It’s almost quaint to imagine that only thirty-five years ago close to one-third of the population of the globe lived under state socialist societies; more so, after the Fall of the Berlin Wall and end of the Cold War. Conventional wisdom says the West (and capitalism) won the Cold War, but the financial crash of 2008 and the wobbly recovery since then have revealed some of the vulnerabilities of capitalism (social, racial and gender inequality, stagnant wages, lack of social mobility, political gridlock, mass incarceration) and revived interest in alternatives to neo-liberalism. None of this implies nostalgia for or a return to Soviet-style one-party, centralized economies, but in examining what worked in those societies and what failed, we can gain a more complete perspective about our own times, as well as the challenges currently faced by Cuba. Planet Red offers tableaux in motion, mirrors that reveal not only similarities but profound differences among these experiences, revealing that there were (and are) many communisms, just as there are many capitalisms. The state socialist societies of the twentieth century formed a rich variety of experiments with the arts, sciences, space travel, education, production and industry, social engineering, urban planning, and the creation of social institutions (from the Young Pioneers to chess clubs to Olympic sports to stamp collecting). In an attempt to radically change societies and human beings, these countries transformed societal norms, work habits, recreational practices, language, and culture. Some of the results were exhilarating, others unremarkable, still others dismal or appalling. that carry implicit assumptions. Alexei Yurchak warns us about them: “oppression and resistance, repression and freedom, the state and the people, official economy and second economy, official culture and counterculture, totalitarian language and counter-language, public self and private self, truth and lie, reality and dissimulation, morality and corruption, and so on.” These binaries often obscure a more complete and complex portrait, of multiple causes instead of searching for a single explanation (ideas or socioeconomic indicators). Claude Lefort argues that we must see Communism in its “political, social, economic, juridical, moral, and psychic depth”. I would add cultural depth as well; otherwise how do you understand a member of the Cuban Communist Party who is also a practicing santero? In her 1971 novel, The Lathe of Heaven, Ursula K. Le Guin chronicles the ordeal of George Orr, a thirty-year old draftsman whose dreams literally come true. Terrified at having this ability (he believes he caused his aunt’s death), he tries to avoid sleep by using drugs, for which he is sent to a psychiatrist, a Dr. Haber. Haber is skeptical at first, but then tries to harness Orr’s powers for his own personal advancement (successfully), but eventually he becomes more ambitious. Haber’s utopian impulses lead him to channel Orr’s dreams through the use of a machine (the Augmentor) that manipulates Orr’s brainwaves as he enters a dream state. Haber’s good intentions, however, have unintended consequences: in wanting to solve overpopulation problems, a plague is unleashed that kills 6 of the 7 billion people on the planet; in seeking to cure racial injustice all human beings end up with a skin color that is battleship gray; in trying to end war he causes an alien invasion of the planet. Orr’s dreams are the perfect utopian device since the only person (aside from Orr) who remembers what things were like before the dream becomes “effective” is Dr. Haber. 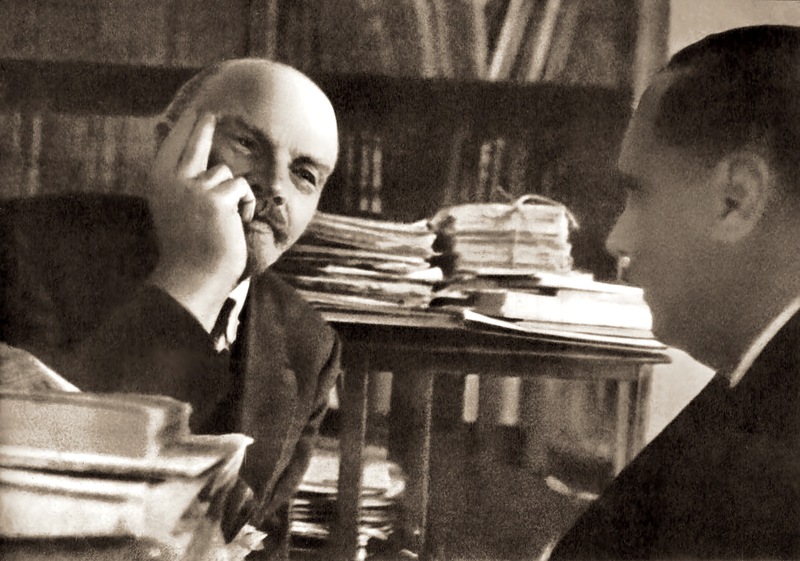 Imagine what Stalin or Mao could have done with George Orr’s dreams: they would have been able to avoid civil war, party purges, class struggle, the gulag and the violence of collectivization (or erase the memory of them having occurred). But, Le Guin, reminds us, those of us who want to play God end up being “destroyed by the lathe of heaven”. As we look at the utopian politics of our recent past, as they tried to create heaven on earth, perhaps it is not the lathe of heaven but the lathe of history that has expelled us from paradise and shattered some of our dreams. In acknowledging the ambiguities, complexities and vibrancy of revolutionary utopias, the contributions to Planet Red will be varied, from essays to testimonies, from literary texts to vignettes. Engaging these dilemmas will involve a wealth of diverse subjects that define the Communist experience: youth festivals, films, immigration, volunteer labor, education, sexuality, music, TV programs, telenovelas, ration booklets, religion, myth, ritual, symbol, celebrations, sports, family life, cartoons, jokes and humor, tattoos, personality cults, computers, cell phones, diplobabalaos, automobiles, even pets. 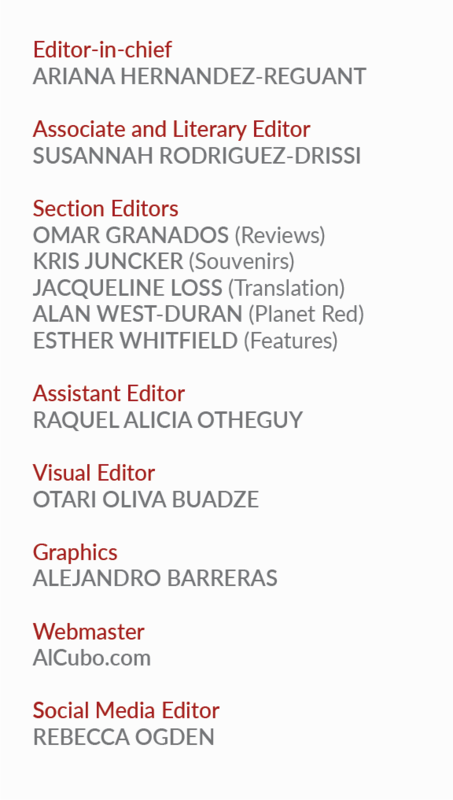 Welcome to Planet Red, a home for time’s rebels, history’s refugees, and utopia’s wayward dreamers! 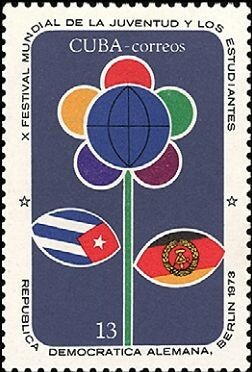 Cover image: Cuban stamp (CU-885) of 1964.